On a rock 150 feet above the roofs of central Zermatt, guests access The Omnia via a tunnel leading to an elevator, which brings them right into the lobby. Guests can taste refined international cuisine made from selected seasonal ingredients in the restaurant or on the terrace. After dinner, guests can relax on the sofa in front of the fireplace, sipping an espresso or a grappa. The spa area offers various treatments to unwind after a day in the fresh mountain air. All units vary in layout and size and feature elegant modern design and private balconies. The Omnia offers its own taxi service to and from Zermatt train station, the parking lot or the heliport. A shuttle or helicopter service to the airports can be arranged by the hotel team as well. 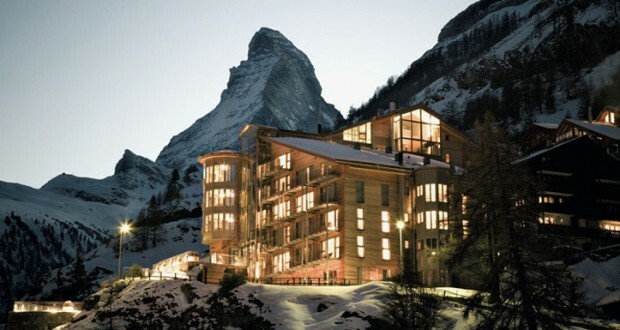 Zermatt’s winter sports area can be reached with a 15 minute walk or by electric-powered buses and taxis.